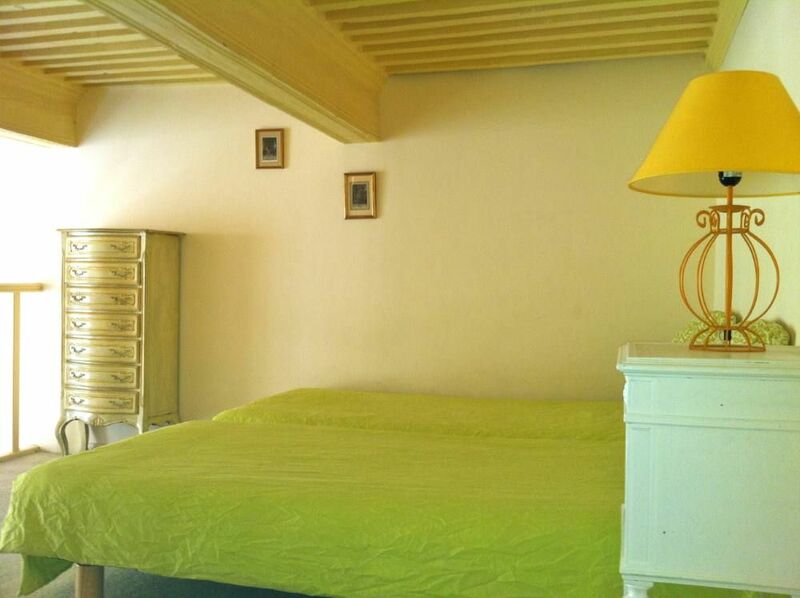 An accommodation in a residential area, a complete equipment in linen supplied gracefully during your arrival and changed every week (on inquiry), cleanliness, heat of the decoration, but also the freedom to go and come as at home, the good choice of the rent of house of more large surface with free wifi. You take advantage of an equipped kitchen which avoids you systematic exits to the restaurant. Very distinguished house and in a most attractive part of Aix. The property is very well situated and in fact the best placed of all the three properties we have occupied since coming to Aix, a town that we know well as our son and his family live there. The owner, Armand, is friendly and not at all intrusive. As elderly people we managed the steep stairs to the bedroom area without problems. We hope to be able to occupy the apartment again in future. A wonderful stay in Aix ! Fabulous location ! We are so lucky to find this charming apartment on HomeAway : quiet, comfortable, very clean, ideally location near all attractions, fountains, markets, shops, Cezanne mountain... The best location ! Armand is very friendly et helpful. Very accommodating; We will definitely stay here again on our next trip in Provence. Thank you so much for the time you spent to share your comments with us following your journey at our apartment in the heart of Aix en Provence. I am delighted to hear that you enjoyed your stay, our apartment and location. You will be always welcome and I hope you will be back soon and choose our apartments in Aix en Provence. Pour les Amoureux de la Provence !!! Un grand merci pour le temps que vous avez consacré à nous faire part de votre expérience sur la toile du site Homelidays. Je suis ravi d'apprendre que vous avez apprécié votre séjour, la localisation particulièrement calme et centrale de l'appartement, son équipement wifi et satellite TV, ainsi que notre dévouement et nos bons plans. J'espère que nous aurons le plaisir de vous accueillir prochainement 'Chez Vous' à Aix en Provence. Fabulous Location, Great Place and Friendly Host ! We stayed here in november 2015. The place is perfect and the location is fabulous. It's the BEST : just rerenewed, spacious, clean and quiet, the bus and train stations 5 minutes walk, many shops, restaurants and attractions. Armand was friendly and always helpful. I would recommend it !! Fantastic family holidays in Aix en Provence ! On arrival the owner was cheerful and helpful. Our apartment was spacious, quiet and very clean. It'an amazing place in a fantastic location in the heart of Aix en Provence. We would recommend this apartment and we certainly plan to return next time. Thanks Homelidays and thanks Armand ! Great apartment in a fabulous location ! Great and charming apart with helpful owner. It's centrally located. Easy walking distance to a variety attractions, shops, restaurants... very comfortable beds. The good choice to spend a fabulous trip in Provence !!!! Marseille-Provence airport is only 25 minutes by car from Aix en Provence and less than an hour from the main historical tourist sites of Provence. It is the only international airport in the heart of Provence. The "Aix-en-Provence TGV" station provides new access to the TGV in the Aix area: you no longer have to go to Marseille. The TGV Mediterranée links Aix en Provence with the whole of France as well as Europe (direct lines to Brussels, Geneva, and connections to London, Amsterdam, Cologne and Milan). The new station is bright and functional and easy to reach by the D9 road, with reserved accessways for coaches and buses. The fabrics of Provence are sold world-wide, fabrics, shawls, scarves, fashion accessories, and gift items. The santons: Figurines of the Provencal Manger. The olive has become one of the main ingredients of Provençal cuisine. Washed down with some wine from the hillsides of Aix en Provence, the provencal meals have seduced the most difficult palates. A taste of Provence the gastronomy of the sun. This marzipan-like confectionery is made from sweet almonds and preserved fruits. Wines of Guaranteed Origin (A.O.C.) the "Vineyards of Aix en Provence". The Aix en Provence markets animate the town with colours and noises. From January to December, the antique dealers of Aix offer furniture and objects they have dug out from here and there. Casino – Pubs – Dinner Concerts or Theme Evenings – Piano Bars – Arts Centers – Cafés – Cabarets – Discos.